Teen Underground Cafe Is Back–and Bigger Than Ever! 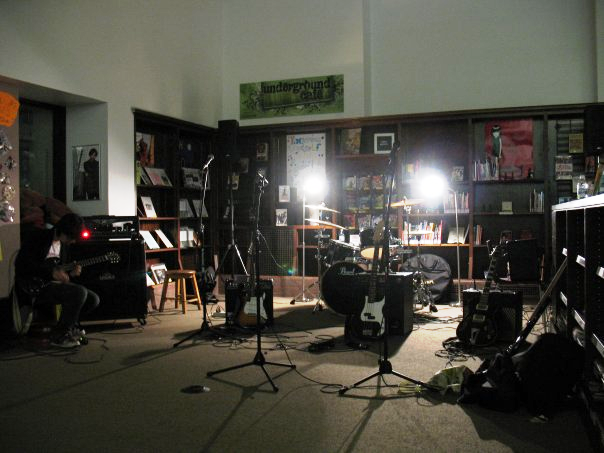 Teen Underground Cafe, an after-hours performance & arts program for teens, is coming–and it wants your participation! Additionally, the Teen Underground Cafe is going to travel all across the city for a series of after hours Open Mic Nights. The stage will be yours to feature your music, poetry, and more. And with a full PA system and back line of drums, guitars, and amps, you may meet a fellow collaborator–or even get scouted to feature more of your work at Teen Underground Cafe Presents…! if you haven’t noticed yet, today is Friday the 13th! It has been fourteen months since the last time a Friday fell on the 13th day of the month, which some believe, is a very unlucky combination. The irrational fear that this day brings bad luck is called paraskevidekatriaphobia. Countless studies have proven that Friday the 13th isn’t really bad luck at all, but some folks still believe in the superstition! When I think of Friday the 13th, I think of bad luck, horror movies, and overall creepiness! Sometimes just looking at a book cover can give you goosebumps. Below are some of the creepiest covers that actually have an awesome story to back it up! Click on the book to read a description and order a copy today! What is your favorite scary book cover? I’m sure that by now, Teen Summer Reading (TSR) is old news. However, if you haven’t signed up yet, I do encourage you to stop by your local library, say hi to your librarian, and sign up! You can earn nifty prizes and free books, as well as an invitation to your branch’s spectacular End of Summer party just for teens. If you’d like to share what you’re reading with other teens, look no further than Hazelwood’s Teen Lounge and Book Club on Tuesday, July 2 from 2-3pm. 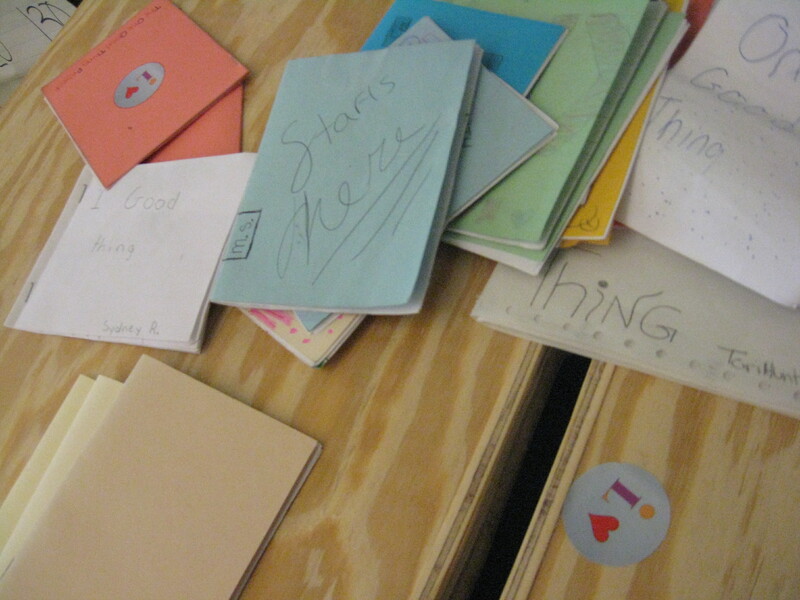 Bring a book you are reading and share what you loved or hated about it over snacks, crafts and games. Refreshments and free books are provided. Let’s say you’ve been reading all summer long, and you figure that you’ve already read a fair amount of books by different authors, of varying genres and writing styles. You figure it’s about time you try your hand at writing something of your own. 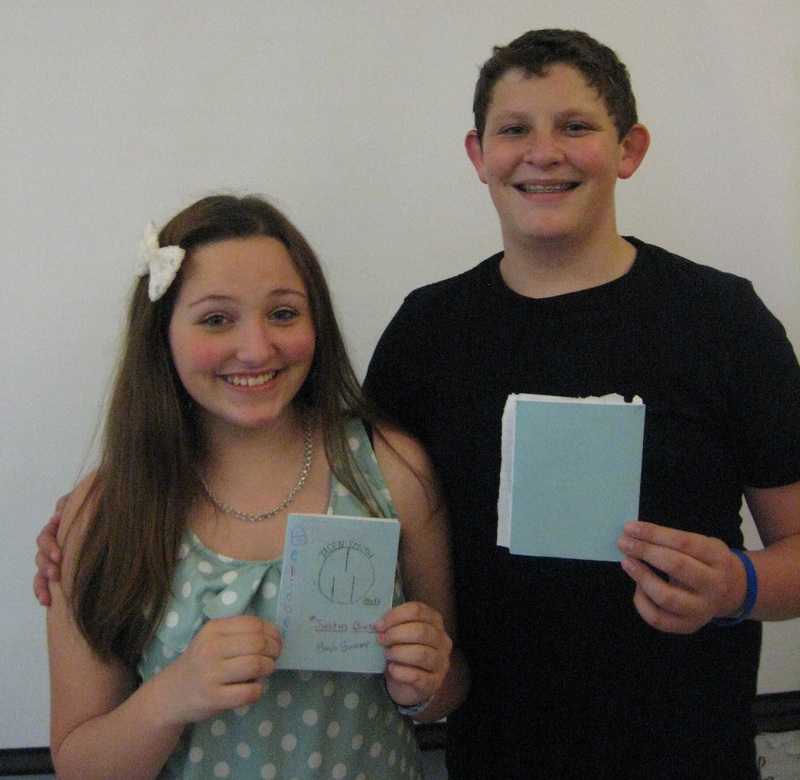 Look no further than East Liberty’s Creative Writing for Teens on Saturday, July 6 from 3-4pm. This special creative writing workshop will feature special guest and YA author Siobhan Vivian, author of The List and Burn for Burn. Not only do you get to meet this fabulous author, but she will also help you improve your writing! Registration is required, so register here, or by calling 412-363-8232 or emailing barbert@carnegielibrary.org. 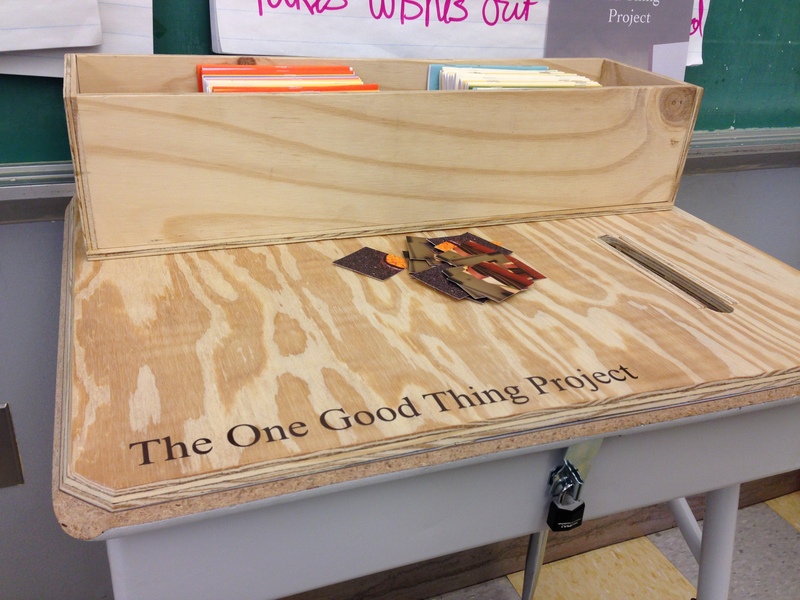 Last October, I wrote about The One Good Thing Project. 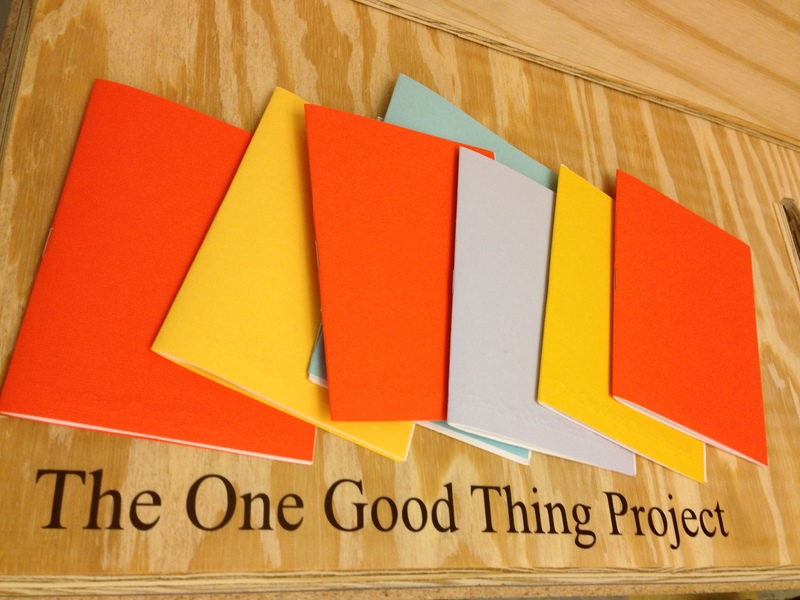 The One Good Thing Project is a participatory art project that helps us find the good that happens each day. Getting involved is easy! Take a booklet. Fill it with good things. Keep it or return it to the collection. Since showing the project at CLP Hazelwood, the next step was to bring the project out into the community. Emily Sciulli and I launched the program with middle school students at Pittsburgh Mifflin and St. Rosalia Academy. The results have been stellar! Check out some photos from the schools! 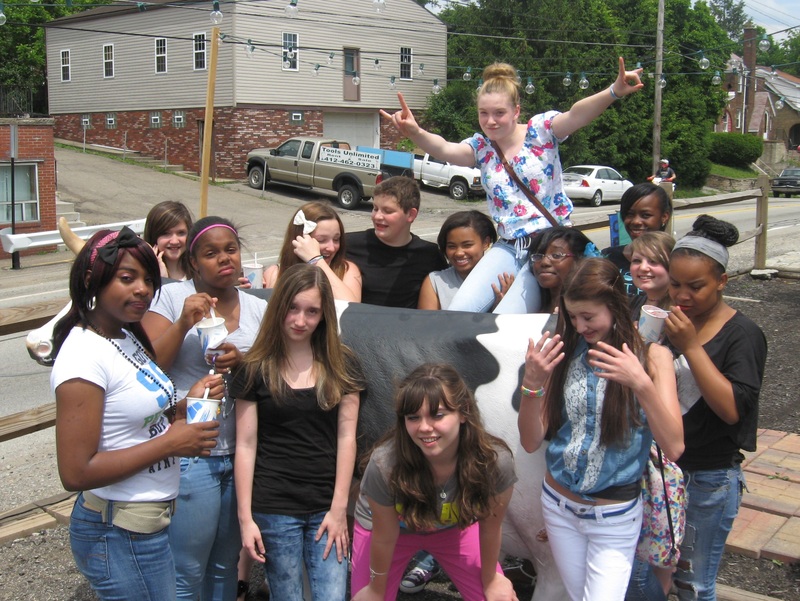 8th Grade @ Pittsburgh Mifflin! Paying it forward: We got ice cream at Dell’s for Mifflin students who returned booklets! Special thanks to everyone who has participated so far. Now we want YOU to take part! We will be featuring the project at CLP Hazelwood this summer. To participate, drop by the library starting in July. Take a booklet. Fill it with good things (photos/words/anything good). Return it to the collection or keep it as a gift. 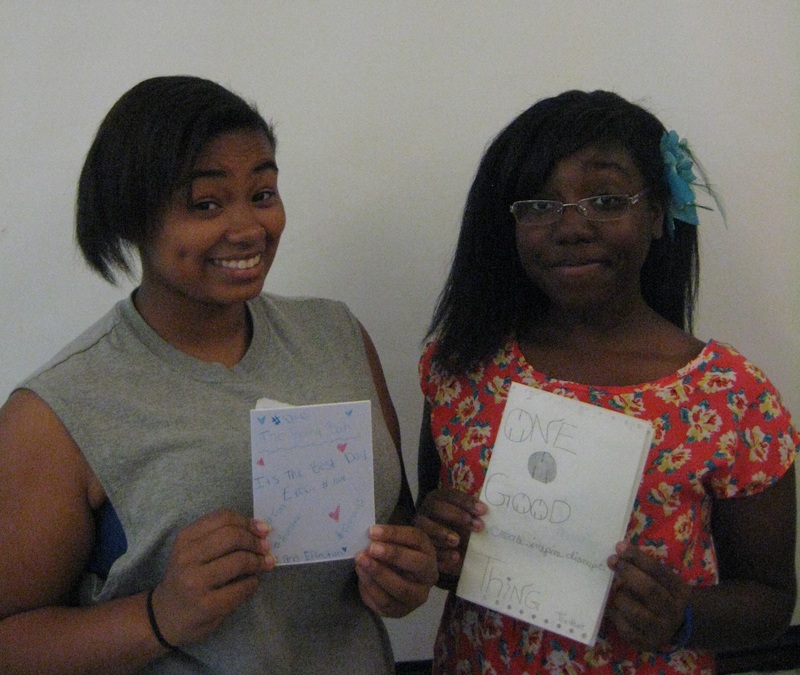 The One Good Thing Project returns to CLP Hazelwood soon! Can’t get here, no problem! 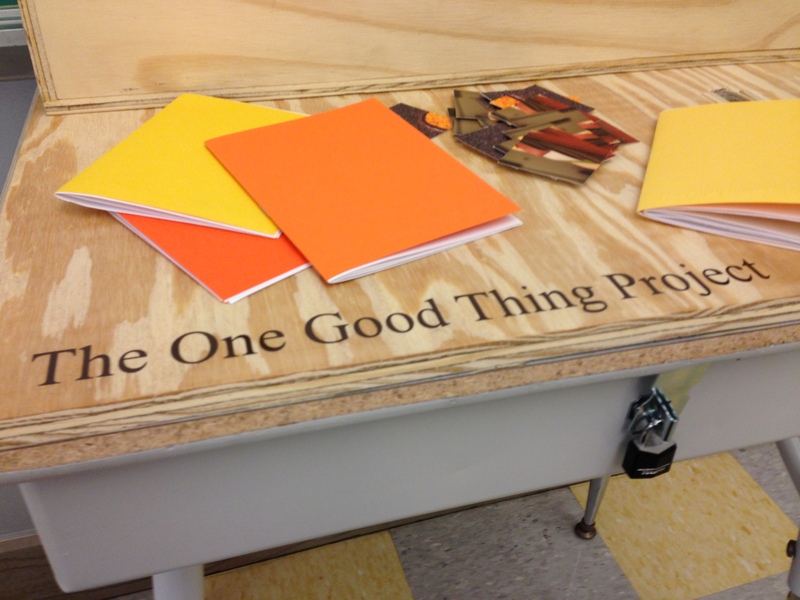 Grab a notebook and start record one good thing every day. Happy Summer. Fill it with good things! Have you ever felt like you keep seeing things that NOBODY else is noticing? Clary Fray feels that way too. Except, when she witnesses a murder at Pandemonium Night Club in NYC – nobody notices AND the victim vanishes into thin air. How do you call the police when there is no victim or evidence? City of Bones (the book) is so good that it’s a series AND movie. Coming August 23rd! Check out the trailer and order the books from the library! Coming in March 2014: The sixth and final book of the Mortal Instruments series. City of Heavenly Fire! Did you know there was a prequel too? The Infernal Devices takes place in the same universe as Mortal Instruments, just in the Victorian era! Read Clockwork Angel to get started! What do you think about the upcoming movie? Excited? Worried it won’t live up to the books? It has officially been spring for nearly one month and it’s finally starting to feel like it. Now that the gloom of winter is over, it’s time to get busy beautifying our city again. Spring is a time for renewal. Flowers are blooming. Trees are being planted. Litter is being removed. And, yes, you can help! Last week, volunteers from the Explorers Club of Pittsburgh scaled Mt. Washington to clean up the mountainside! They removed 60 bags of trash, 25 bags of recyclables, a shopping cart, and even a baby stroller! Amazing! There are so many volunteer opportunities celebrating Earth Day on and Arbor Day over the next few weeks. The Great PA Cleanup is a good place to start. There are still a few community cleanup’s scheduled all over Pittsburgh – Hazelwood (4/20), Homewood (5/2), Highland Park 5/11). Tree Pittsburgh is an environmental non-profit organization dedicated to enhancing the City’s vitality by restoring and protecting City trees. There are opportunities to help at tree planting events and learn to prune the urban forest. Check out Tree Pittsburgh’s calendar. At CLP-Hazelwood we will be celebrating Arbor Day with the finale of Teen Reading Lounge. Stop by to help clean up around the library, pull weeds, spread mulch, and hang colorful birdhouses on trees along Second Avenue! Thursday, April 25th at 5:00pm. Sneak Preview: Birdhouses @ CLP-Hazelwood! Can’t make it to a clean-up event? No Problem! Start small. Clean up litter around your house, street, or school! Water dry flowers, grass, and trees. Keeping and making Pittsburgh beautiful is something everyone can do! Tired of the same old book discussion? Join the crowd–the crowd at the Carnegie Library of Pittsburgh’s Teen Reading Lounge events, that is! Sponsored by the Pennsylvania Humanities Council, the Teen Reading Lounge is a way to talk about books while learning fun new skills, engaging all parts of your brain while getting you active in the PA Core Curriculum standards your parents & teachers are probably be talking about. TRL (Teen Reading Lounge) Kickoff Party! 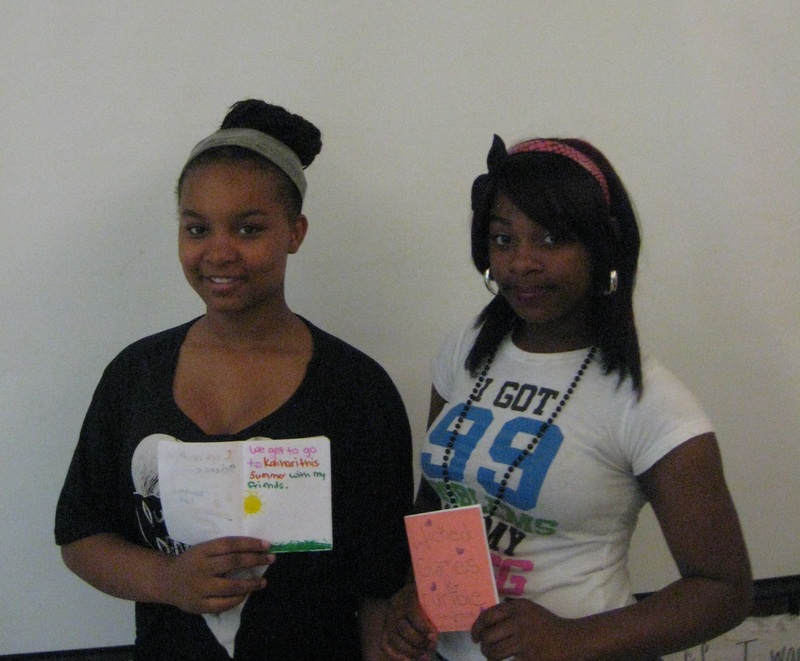 Carnegie Library of Pittsburgh has been chosen to sponsor PA Humanities Council Teen Reading Lounge, an interactive book club designed exclusively for teens! CLP-Brookline will be holding a kickoff party on Monday, Feb.18 at 3:30 PM to introduce you to this amped up book club, which includes: free books, food, parties, creative activities and plenty of teen opinion on what makes these books good or bad. For 3 months we’ll focus on COMIC BOOKS and GRAPHIC NOVELS. Space is limited, so be sure to register by calling 412-561-1003 or complete online registration form. When registering, please commit to be an active participant, with intent to attend the majority of the sessions. Participation is reserved for teens age 12-18. Help us kick off this exciting, new, non-traditional book club featuring three graphic novels. Teens who sign up will receive copies of the books to take home. special series is supported by the Pennsylvania Humanities Council, and will run from February through May. Contact the Library for more details. It’s the official TRL Kick-Off Party to celebrate the start of our new, non-traditional teen book club! Get your FREE copy of the program’s first graphic novel: Coraline, adapted from Neil Gaiman’s novel of the same name. Eat food, meet the other TRL readers and learn about the awesome workshops and activites that are happening with TRL in the weeks to come! NOTE: This is an exclusive AFTER HOURS library event, which means you must register with J.J., the Teen Specialist at CLP-Beechview, to get on the TRL guest list!